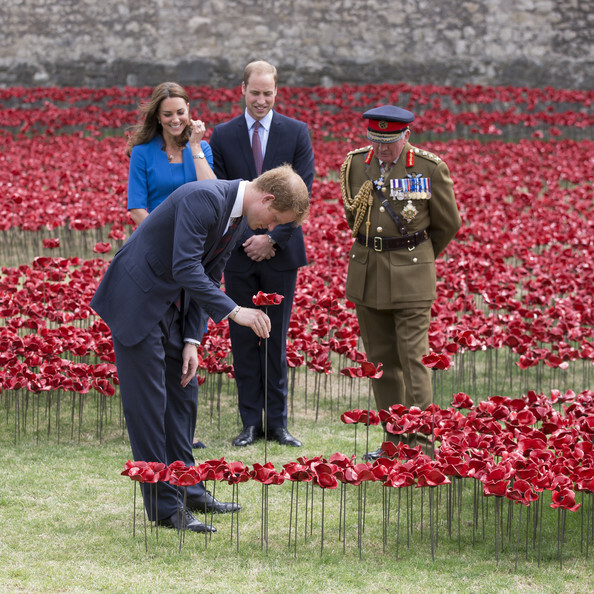 Prince Harry Laying A Poppy In The Moat At The Tower Of London, Accompanied By The Duke And Duchess Of Cambridge And General Lord Dannatt, Constable Of The Tower. It’s a great day today, for so many reasons, including respect for our Monarchy and the joy it brings not only to the British, but around the World. Pictures of the Royal Wedding will soon be circulating internationally and will touch the hearts of millions. The Royal Princes are a fine duo, each with their different characters. Prince William is destined for the throne and surely would agree proudly, that today is Prince Harry’s day. Today, The Queen has endowed Prince Harry with the ancient title of Duke of Sussex, so following the wedding ceremony, he and his beautiful bride will be addressed as the Duke and Duchess of Sussex, though I guess that he will think of her as his own new Princess. He has achieved so much with his passion (like his mother, Princess Diana, before him) for charitable work and has developed into an excellent role model. Prince Harry has become absorbed in working with services charities and the disabled, creating the Invictus Games and working full time for it at one stage. 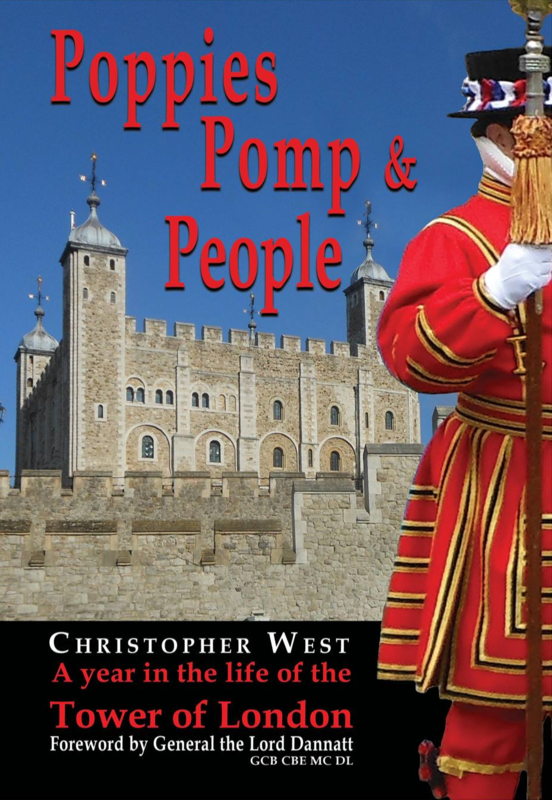 Because of my recent book about the Tower, I’ve had the opportunity to talk to numerous service personnel, veterans and others about the Prince- all the comments have been full of appreciation and underline his devotion to duty and the position he has created for himself. 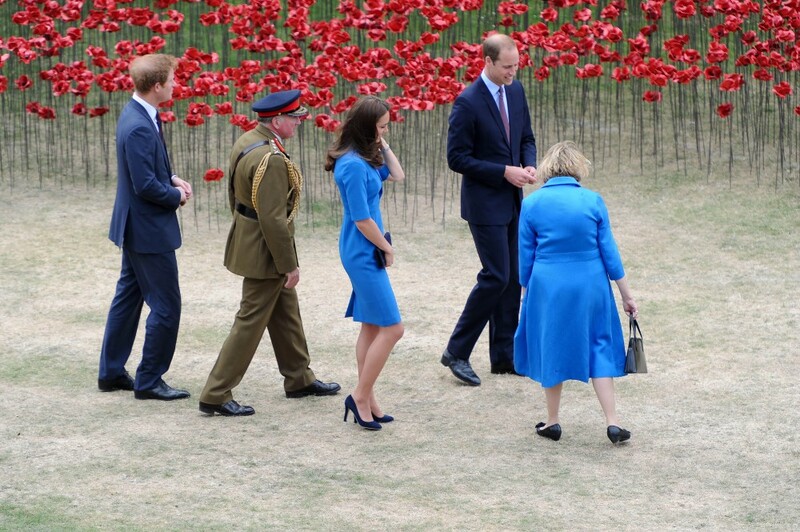 Prince Harry In The Moat At The Tower Of London, Accompanied By The Duke And Duchess Of Cambridge, General Lord Dannatt, Constable Of The Tower and Lady Dannatt. The Army is known to have given structure to Prince Harry with his successful development. Following what must have been an incredibly difficult childhood, the Prince leapt over another huge hurdle, that of being the younger brother of the heir to the throne. He has also learned to deal with the problematic press and demanding public pressure. Ten years in the British Army helped him to deal with all this and gave him the opportunity to grow his skills and achieve his goals. The Prince was promoted to Captain and endured two tours in war torn Afghanistan. The picture above again shows him in the company of General Lord Dannatt, who was Chief of the Army during Prince Harry’s service, and used his considerable influence during that period. Lord Dannatt is also patron of the charity ‘Help For Heroes,’ another of Prince Harry’s favourite charities.